Dr. James Wanamaker received his DDS in 2016 from SUNY Buffalo School of Dental Medicine. While at Buffalo, he served as American Student Dental Association’s (ASDA) Chair of the Council on Advocacy from 2015-2016. He has also represented ASDA as the Student Delegate at NYSDA’s House of Delegates in 2014. Additionally, Dr. Wanamaker interned in Washington in the Washington DC office of Congressman Mike Simpson, DDS and was the new dentist member on the ADA workgroup that planned the first joint ADA Dentist and Student Lobby Day in 2017. 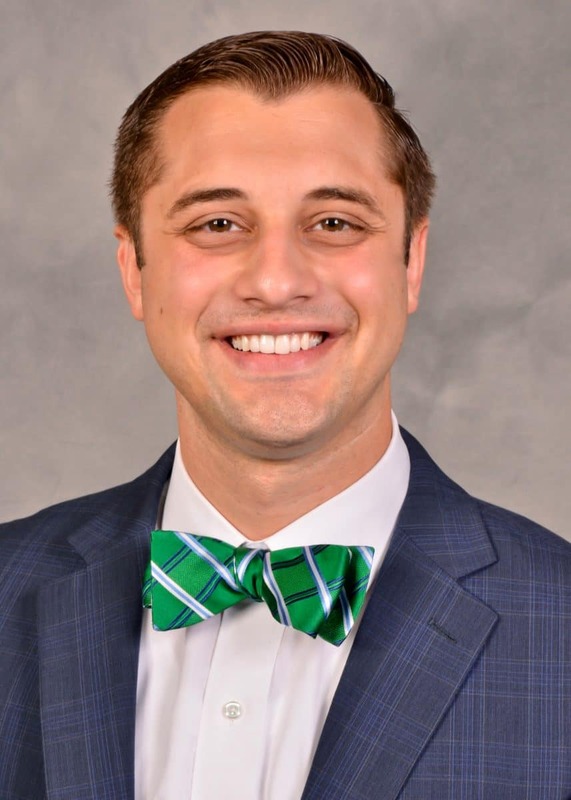 Dr. Wanamaker completed his General Practice Residency at SUNY Upstate and the Syracuse VA where he served as a Resident Representative to the Fifth District Board of Govenors for 2016-17 term. He is currently the Chair of the FDDS New Dentist Committee and Representative to NYSDA’s Council on the New Dentist. Dr. Wanamaker lives in Camillus with his wife Francesca. He is currently practicing with Drs. Sean Smith and Gard Lorey in Skaneateles.